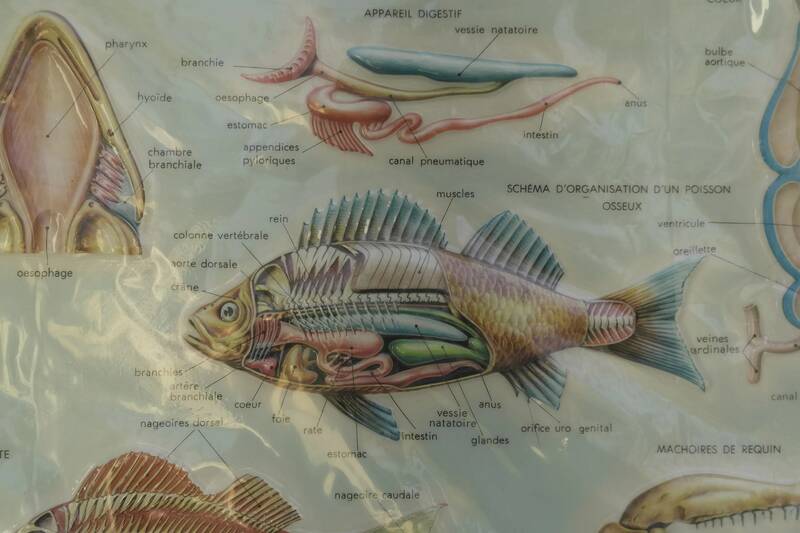 A vintage educational school chart for fish anatomy zoological studies. 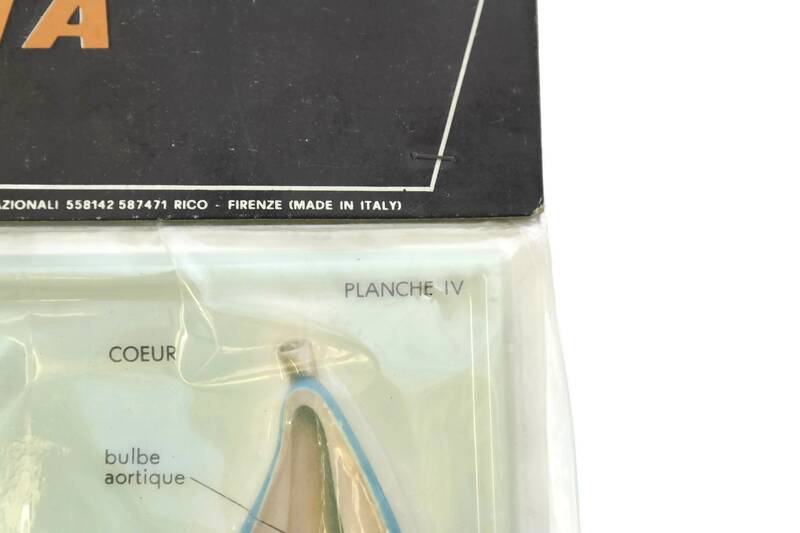 It dates to the 1970s and was made in Italy by the Rico brand in the city of Florence. 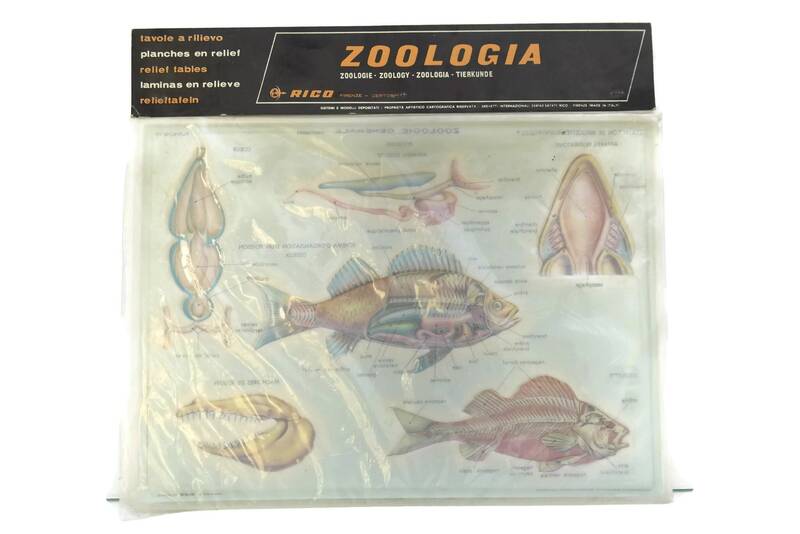 The chart has been manufactured from molded plastic with a raised relief design. 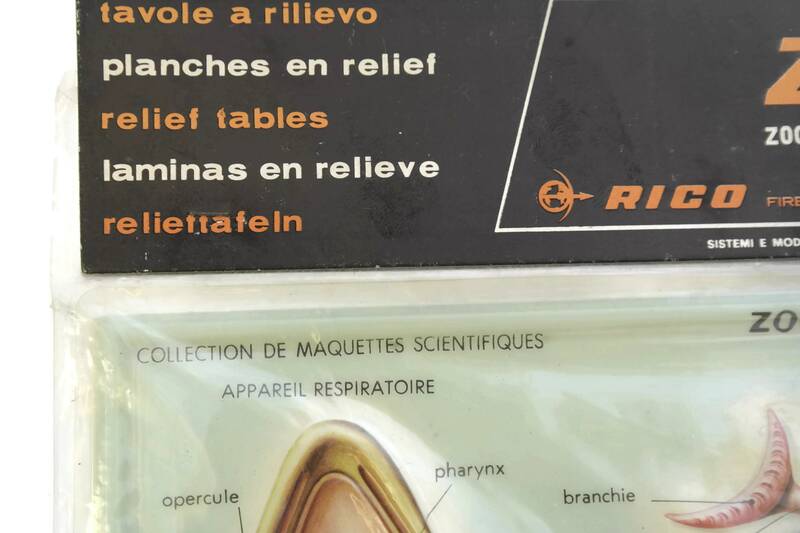 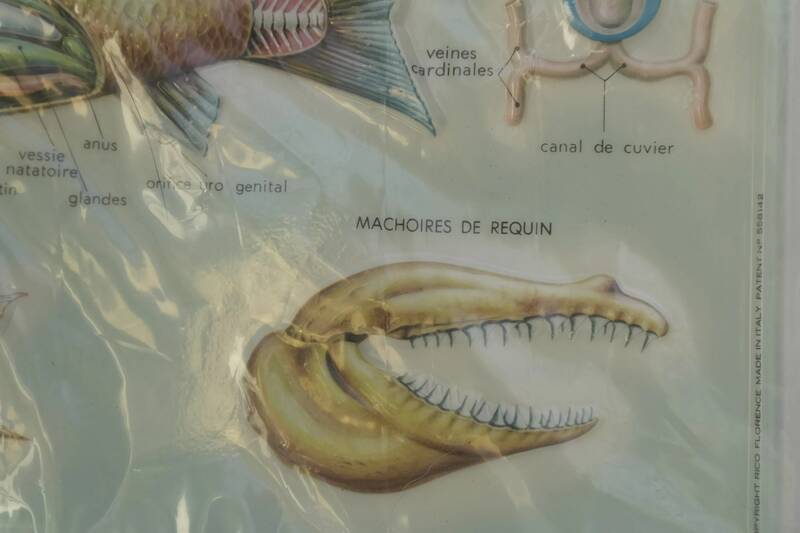 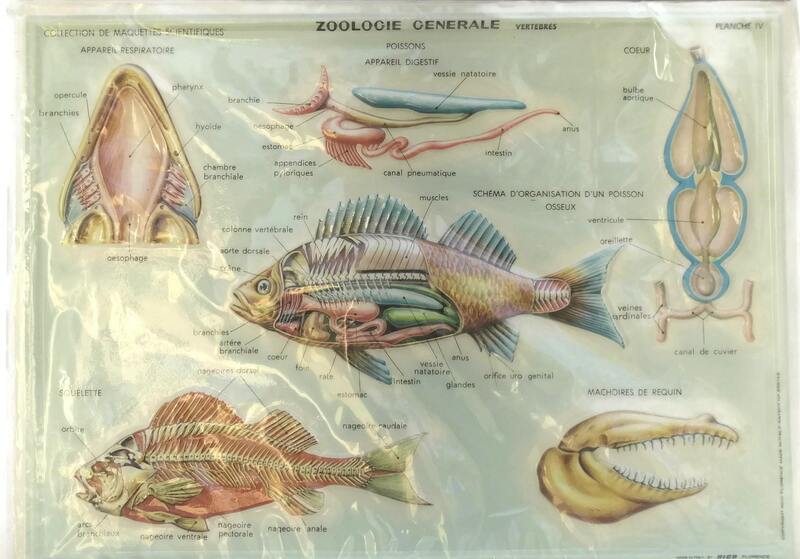 The surface of the 3D relief table features full color illustrations of fish with descriptions printed in French. 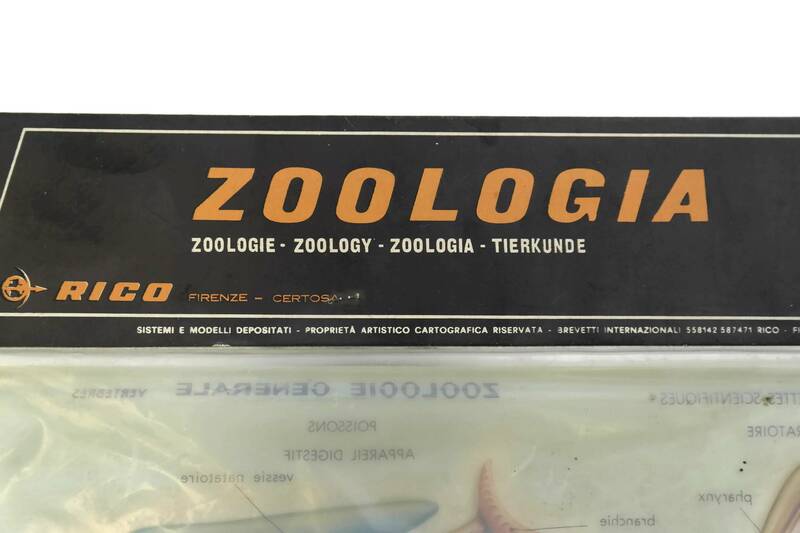 The chart comes in its original packaging which has not been opened. 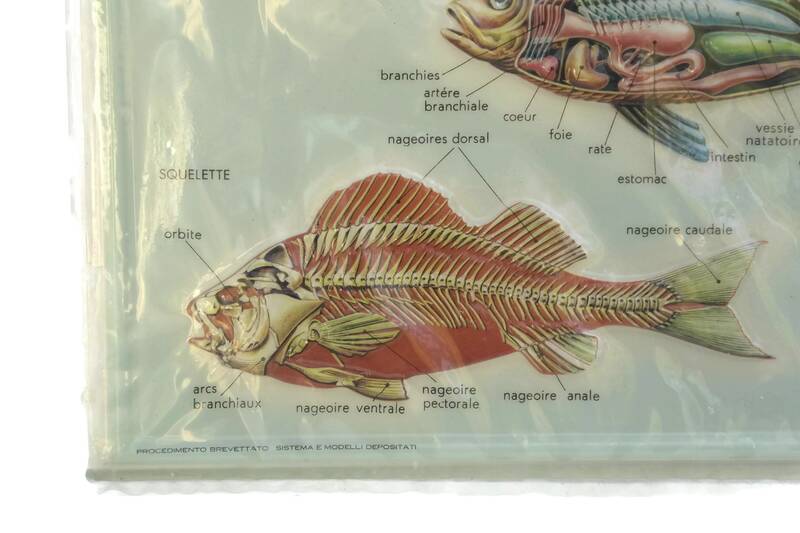 9" High x 12" Long (23 cm x 30 cm). 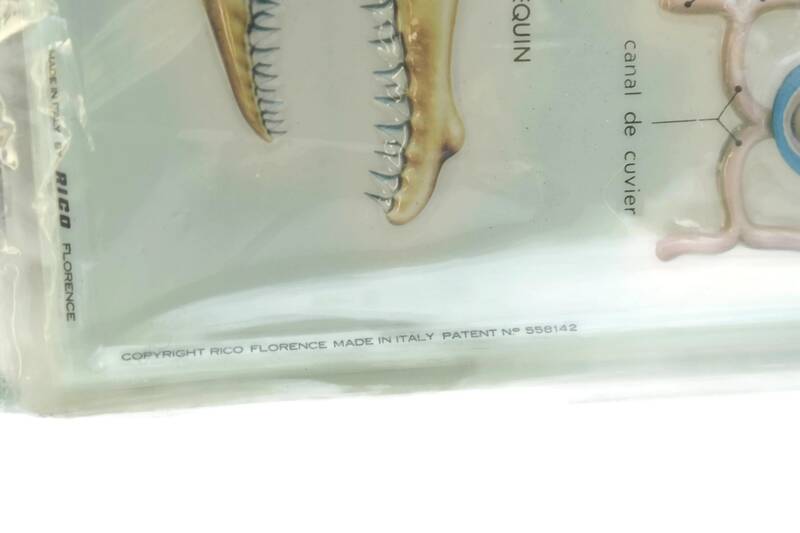 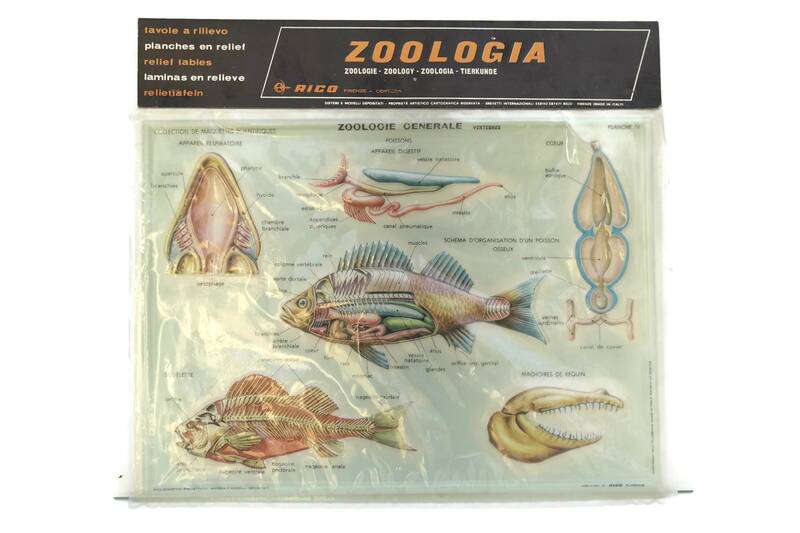 The zoological fish chart is in very good condition with light wear to the packaging.